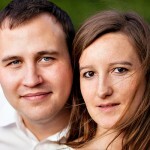 Here is a selection of what I consider the most valuable photography podcasts. Podcasts are a free and fun way to learn about photography. 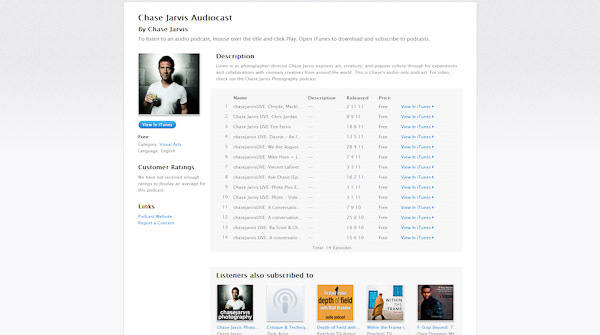 Most podcasts can be found on iTunes and automatically synced with an iPod or manually copied to a portable media player. I love podcasts and listen to them frequently when traveling, working out or waiting for a bus. 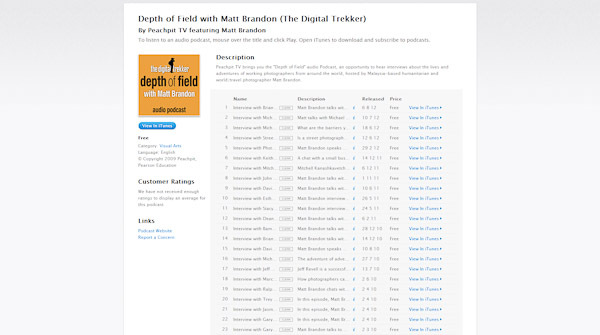 Depth of Field with Matt Brandon (The Digital Trekker) Discussions with great photographers from around the world. 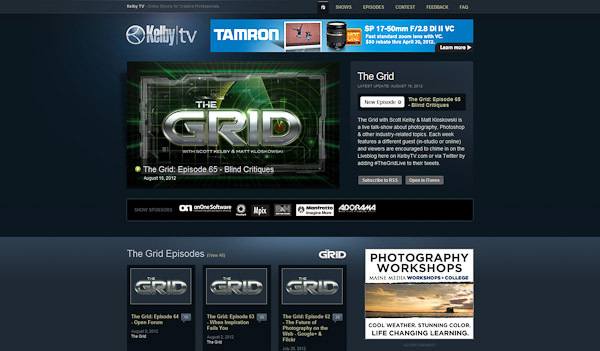 The Grid A live talk-show about photography with Matt Kloskowski and Scott Kelby. 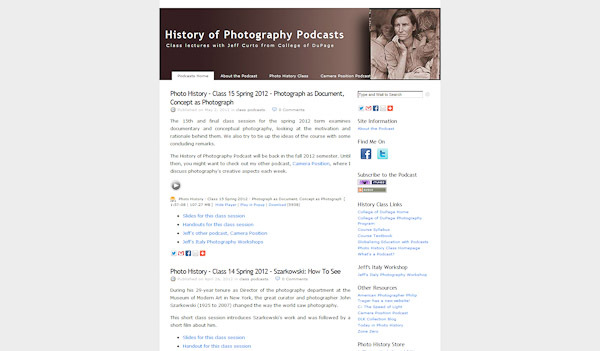 History of Photography Podcasts This podcast is recorded during Jeff Curto’s lectures at College of DuPage. The Digital Photo Experience Rick Sammon and Juan Pons share tips, advice and news. You can send questions which Rick and Juan answer on the podcast. 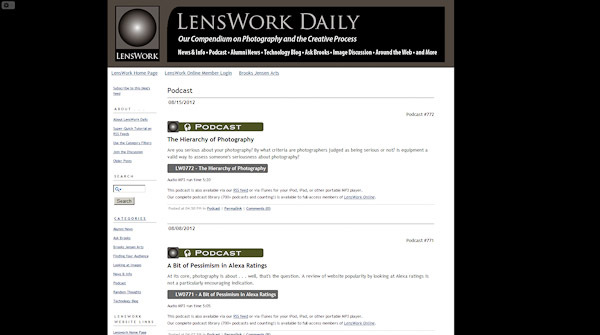 LensWork – Photography and the Creative Process A thoughtful and inspiring podcast by Brooks Jensen, the editor of LensWork magazine. The episodes are short and brilliant. If you are not listening to this podcast you are missing out big time! 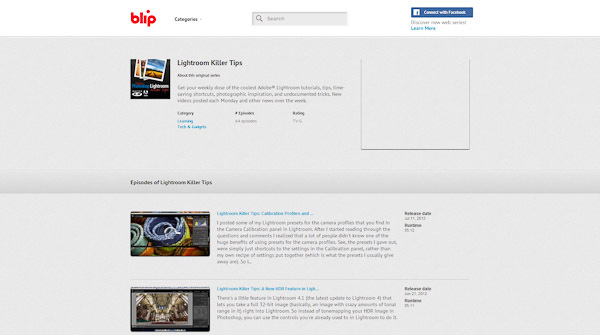 Lightroom Killer Tips Cool tips and tricks from Matt Kloskowski. 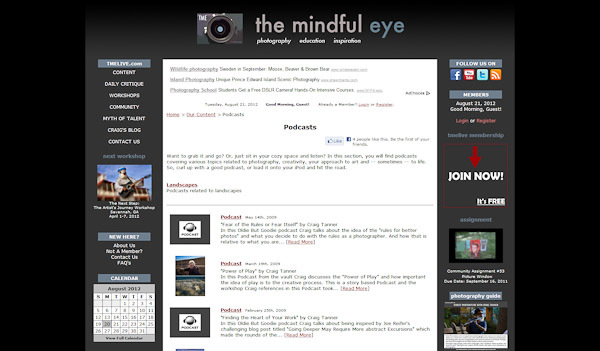 The Mindful Eye Photography, creativity and art discussed by Craig Tanner. You can also find Craig’s videos on YouTube. 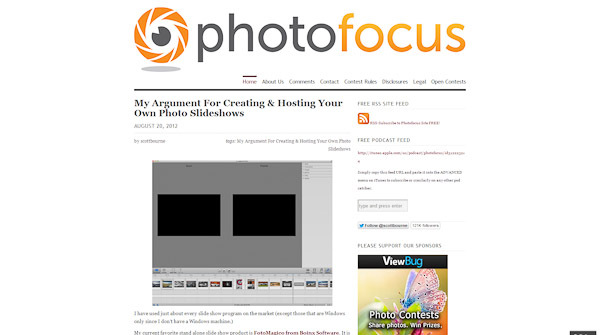 Photofocus Scott Bourne anwsers your digital photography questions. Photoshop User TV The weekly Photoshop TV show featuring the “Photoshop Guys”. Topics cover all areas of Photoshop. Rangefinder Radio Scott Sheppard of Rangefinder Magazine interviews top photography and imaging experts. 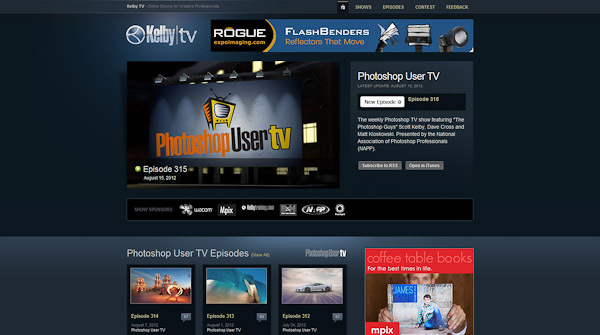 Snapfactory Easy to understand video tutorials by photographer Mark Wallace. Not really a podcast but can be subscribed in a news aggregator. These are my favorite photography podcasts. Do you listen to podcasts? Which are your favorite? 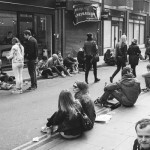 Also check out my Great Photography Blogs list.